My husband is a recovering drug addict. My husband is a recovering drug addict. I never used unless it was with him. What is that called? I never want the drug and hate the thought of it, but if he gets high so do I...Meth. Been clean for 3 yrs and relapsed? Comments for My husband is a recovering drug addict. Wow, clean for 3 years then a relapse. I know you must be very down and frustrated. But drug addiction is a disease in your brain and until you change the way you think it will be with you. Relapse is a very common addiction problem but you can move past it with support. Start going to NA or AA meetings and work with a sponsor so they can be a shoulder to lean on whenever you think about using. Try to find a women sponsor who has been where you are at and can lead you past it. It sounds like your husband triggers your drug use, so in order to stop using you may need to separate from him for a while. You each may trigger each others abuse and that pattern MUST be broken to avoid relapse. 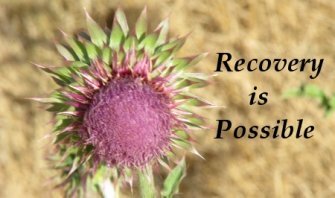 Meth is a VERY addictive, destructive substance and it's critical that you not let the relapse stop you from moving forward in your sobriety!